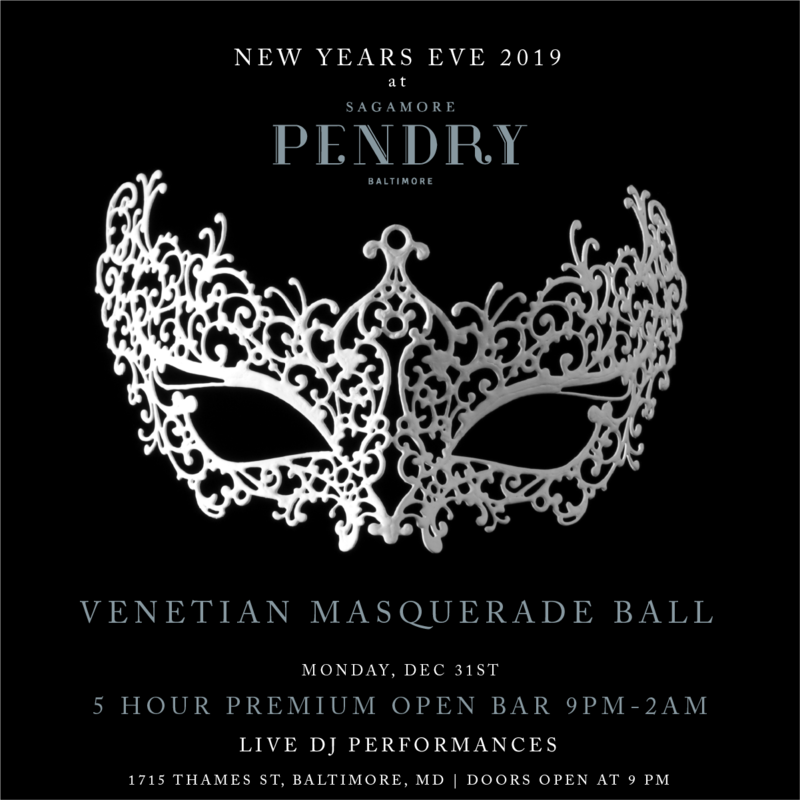 Walk on water this New Year’s Eve at the Sagamore Pendry’s Venetian Masquerade Ball. Much like the historic buildings of the majestic Italian city, this Baltimore landmark peers over blue waters that will glisten like never before on this much anticipated night. The historic Sagamore Pendry delivers a lavish evening of libations and entertainment you won’t soon forget this New Year’s Eve. Grab your masks and cloak your visages because no one is who they were before this masquerade. Float across an expansive dance floor to pick up a libation at the five hour premium open bar the Pendry is promising. A live DJ takes the sparkling night up a notch with the most delicious soundtrack you can imagine while you dance your way over to the large industrial arched windows and gaze out upon the Patapsco River. VIP packages make the night the best you’ve ever had with luxuries like reserved seating and bottle service that ensure you don’t have to lift a finger. Mingle with friends under gold leaf touches and a grand skylight window – this ballroom has been restored to be an exact modern duplicate of its 1914 original. This is by far Baltimore’s most stunning venue – don’t miss the opportunity to experience it in its full glory this New Year’s eve. Though the evening will be full of disguises – the Pendry’s grandeur cannot be masked, and this mega-bash cannot be ignored.